This picture of Earth from space was taken in June 2001 from the International Space Station orbiting at an altitude of 211 nautical miles. 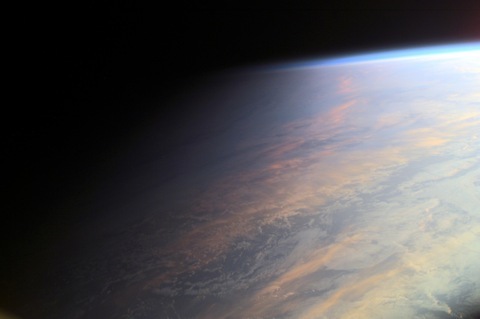 Photo by NASA. Okay, so it’s kind of gimmicky, but it’s all in the spirit of planetary science — or more accurately interplanetary science. So let’s give it up for NASA’s Cassini spacecraft, which is planning a historic photo of Earth from deep space at 5:27 p.m. EDT Friday evening. The image will mostly focus on Saturn and its giant rings, and it will take place during the planet’s eclipse of the sun. In fact, the reason that Cassini will be able to see Saturn so well this evening is because the planet is blotting out the sun, making for a lovely backlit portrait. Cassini’s imaging team has been busy preparing for this moment. Carolyn Porco, leader of that team and an imaging scientist on the 1980s Voyager mission, wrote this post on the project last month, calling people’s involvement in the photo “a full-throated, cosmic shout-out.” Our moon will also photobomb the shot. The Earth portrait will be part of a mosaic of images taken over about a 15-minute span. Filters will be used to simulate natural color “that looks like what human eyes would see,” Porco wrote. 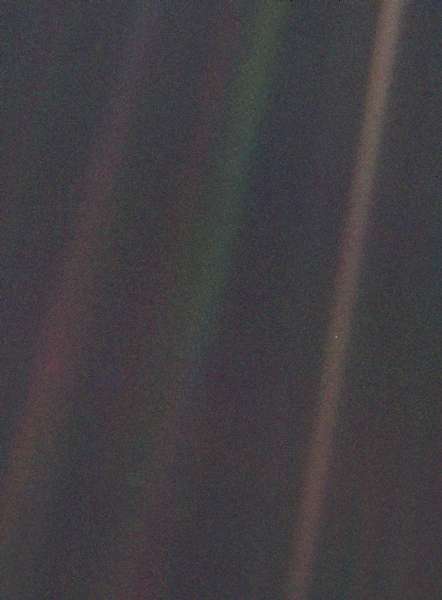 This will mark only the third time that a photo of the Earth has been taken from our outer solar system. The first and most distant was captured 23 years ago by NASA’s Voyager 1 spacecraft from a nearly 4-billion-mile distance — the famous Pale Blue Dot. Cassini also snapped an image in 2006 from 926 million miles away. This panoramic view of Saturn was created by combining a total of 165 images taken by the Cassini wide-angle camera over nearly three hours on Sept. 15, 2006. Photo by NASA/JPL/Space Science Institute. NASA, by the way, is planning to make a “special collage” of people smiling at Saturn. To take part, join the Flickr group Wave at Saturn, add them to the Wave at Saturn Facebook event page or tag pictures on Twitter #waveatsaturn. At this Boston museum, kids take part in research in what’s called the “Living Laboratory.” Miles O’Brien reports for the National Science Foundation’s Science Nation. Why do we drink lemonade when it’s hot out? Slate examines how acidity quenches thirst. From Smithsonian.com: Scientists believe that all the gold in the universe could have been created by collisions of Neutron Stars — a rare event that happens only once every 100,000 years. Researchers at University of California at Berkeley think they have figured out the origin of the fear of heights in humans … by sticking babies in go-carts. Half longhorn bull, half triceratops. Wired reports that scientists discovered a new dinosaur in southern Utah with 2.5-foot horns that extend over its nose. A group of South American countries have mobilized to stop “.amazon” from becoming a new suffix for Internet addresses. The online retailer Amazon lobbied for the new domain name at a meeting of the Internet Corporation for Assigned Names and Numbers (ICANN,) the agency that must approve new addresses. But Brazil, Argentina, Chile, and Peru, among others, argued that the name was “too intrinsically connected to their region to allow Amazon to use it,” the New York Times reports. A San Francisco Bay Area startup has created an engineering-focused toy aimed specifically at little girls, Tech Crunch reports. Patti Parson, David Pelcyger and Justin Scuiletti contributed to this report.